Register Voters: CRPA runs voter registration drives and get-out-and-vote efforts. CRPA Business Affiliates help CRPA promote this effort and register pro-gun voters. Recruit CRPA Members (Earn Commissions! ): Business Affiliates provide information, knowledge, and awareness about CRPA to their customers. CRPA Recruiters earn $5 each time they sign up a new CRPA member too. Distribute Legislative and Legal Affairs Information: CRPA provides the latest inside information on legislative and litigation developments so you can keep your customers informed. Be a 2A Activist Center: Business Affiliates are automatically enrolled as an NRA Second Amendment Activist Center to help win state and local elections. Display CRPA Signage/Videos/Hand-outs: CPRA provides materials to show support for RKBA, CRPA programs, and inform customers about developments impacting their rights. 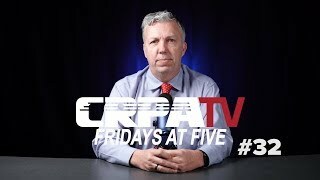 Recruit Grassroots & Volunteers: CRPA has built and is expanding its network of Grassroots activists and volunteers who serve, educate, and engage shooter and get out the pro-gun vote. CRPA’s local volunteers assist CRPA in many ways. CRPA Business Affiliates help CRPA to develop this Grassroots pro-RKBA army. The CRPA Volunteer Corps needs passionate volunteers in every California county to advance the CRPA / NRA mission to protect and defend the right to keep and bear arms. Listing in CRPA Magazine or Website: CRPA’s award winning magazine CRPA Firing Line is distributed to CRPA members and opinion leaders. Business Affiliate members receive a free listing on CRPA’s website or in the of CRPA Firing Line magazine. Election Voting Guides: CRPA provides valuable state and local election guides and candidate information for distribution. CRPA also runs voter registration drives and get-out-and-vote efforts. Business Affiliates help CRPA promote these efforts and register pro-gun voters. Free Event Listings: CRPA publicizes a Master Calendar of events, exhibitions, classes, promotions, and shows. Business Affiliates can promote their events for free. Training Program Support: CRPA supports instructors throughout CA. CRPA’s Training Program provides instructors with access to ranges, students throughout CA, and CRPA materials. If you are an instructor and would like to be more involved in CRPA’s Training Program, email training@crpa.org. Range Assistance: Shooting ranges are under attack in California from developers, neighbors, environmentalists, and the gun-ban lobby. CRPA’s Range Assistance Team of lawyers and experts helps ranges fight back and stay open for future generations of shooters. FFL Legal Assistance: The CRPA team of lawyer and experts supports California’s Federal Firearm Licensees by providing information, legislation and legal support. Exclusive Legislative and Legal Affairs Briefings: Business Affiliates get access to periodic exclusive Legislative and Legal Affairs “insiders only” benefiting from CRPA’s lawyers and Legislative Advocate in Sacramento. CRPA Window Decals: Business Affiliates can proudly let their customers know that they support CRPA and RKBA. Customers appreciate it!